So while the radically redesigned 6.1-inch iPhone SE2 will come in at a massive $799 (twice the price of the current iPhone SE) the second generation iPhone X (possibly ‘iPhone X 2’) will see a price decrease of $100, launching for $899. This will allow Apple to also release an all-new, supersize iPhone X Plus for $999, keeping the range under the crucial $1,000 barrier. And this point is crucial. To date the iPhone X, while far from a flop, has not delivered the sales ‘super cycle’ Apple expected to celebrate the iPhone’s 10th anniversary. Furthermore research by respected analyst Piper Jaffray found the reason behind this: a significant proportion of iPhone owners think it is simply too expensive. Releasing three iPhone X-based models and retaining the existing $999 price point for a larger Plus model would be a clever way for Apple to simultaneously cut prices while also being seen to stick to its guns on the $999 price point. 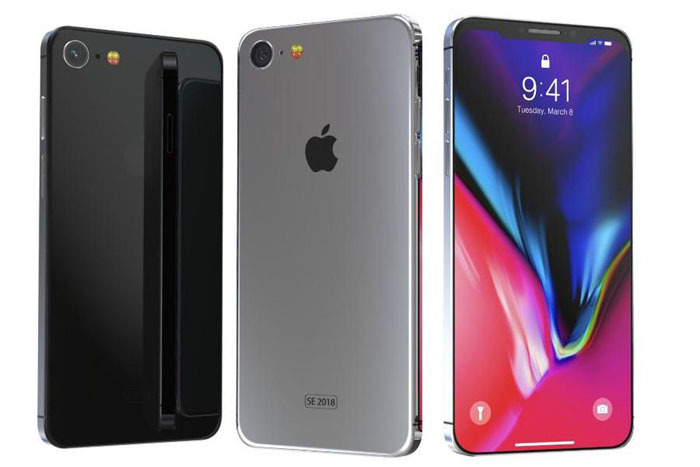 Two OLED devices – 5.8 inch form factor and a larger 6.5 inch form factor; one LCD model 6.1 inch size…The LCD device is likely to have aluminium edges vs. premium steel in other two devices. All three phones are expected to have Face ID (no home button). Apple should keep all iPhone starting prices under $1,000 (remember larger storage options will be available) and the iPhone X 2 would benefit greatly from a drop to $899.